But Gboard uses Roboto instead of SF. The differences between Roboto and San Francisco are sometimes subtle, but to my eyes it just makes it look out of place on iOS 9. Also, they chose too thin a weight of Roboto — I can barely see the period on their “.” key. I think the whole Material Design thing feels terribly out of place on iOS. I’m glad they didn’t do it with Gboard, but they should have gone the whole way and used San Francisco for the typeface, too. Gboard has some interesting emoji features. First, rather than make you switch to a different keyboard, it has its own dedicated emoji layout built in, including search. Mac OS’s “Emoji and Symbols” picker has long allowed for search; it’s long struck me as a little curious that iOS’s standard emoji keyboard does not. Second, Gboard’s predictive text feature will suggest emoji in addition to actual words. Type “dinner” and the first predictive suggestion is “”; type “basketball” and you get “”. That’s clever. @daringfireball It was our magnanimous decision, we should go all the way w/ design, and we will polish iPad. Update 3: Another cool feature. You know how you can move the insertion point by 3D pressing on the iPhone 6S keyboard? 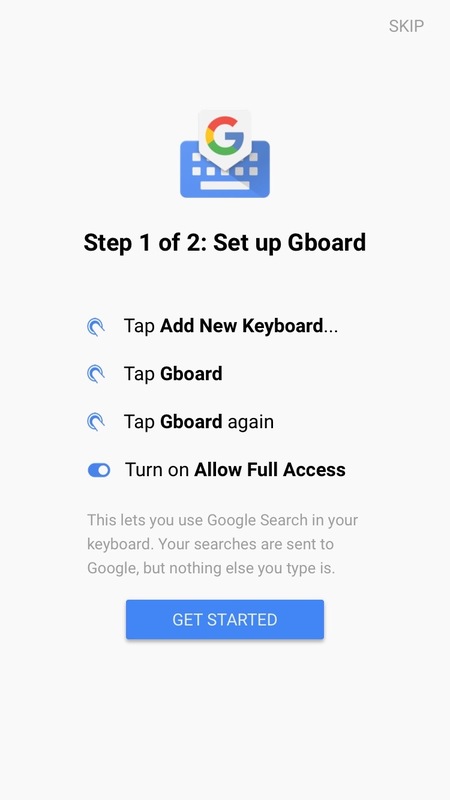 Gboard lets you move the insertion point by sliding across the space bar.